The video below shows a specific unique fit application including the patient’s left orbital ceiling (until approximately the frontozygomatic suture), left distal frontal bone, superior zygoma and parietal regions. 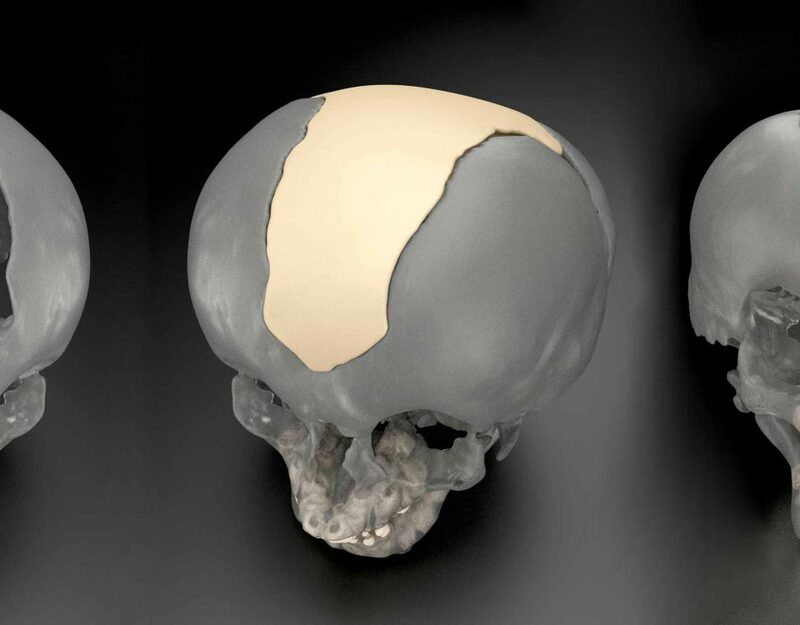 Cranial defect with existing hardware. – Osseointegrated titanium needing removal during same implantation surgery. Hardware is removed. – Generic orbital plate is replaced with a patient-specific PEEK implant. Anterior PEEK orbitocranial implant is placed. – This implant is smaller due to accessibility concerns. 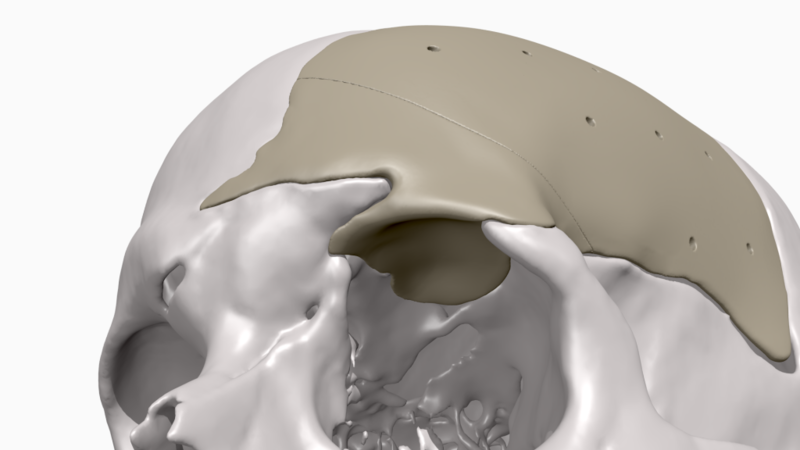 The defect is large enough to wrap around in a way that prevents single-piece insertion of the cranioplasty. Posterior parietal implant is placed. – The two-part design allows the posterior implant to fit easily without the need for modification. The implant is designed to account for burr holes and for relative symmetry. Implant is fixated with titanium plates and screws. – Standard titanium neuro plating and screw sets are used to fixate implant to skull. Note: Manufactured in two pieces for ease of access. Note: Complex contouring design to match patient anatomy. 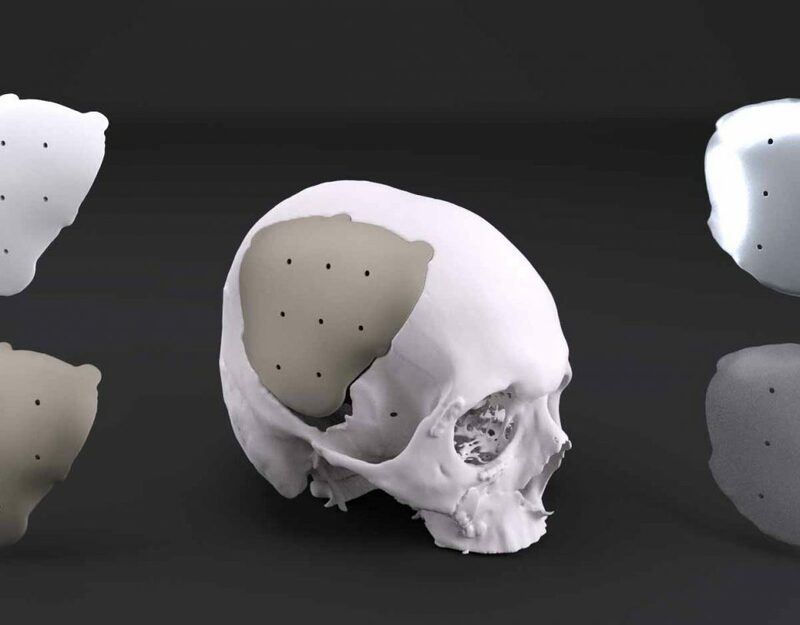 In this case scenario, the custom PEEK orbitocranial implant would require an online meeting with the neurosurgeon to clearly define aspects of the device (like where to divide the anterior and posterior implant). 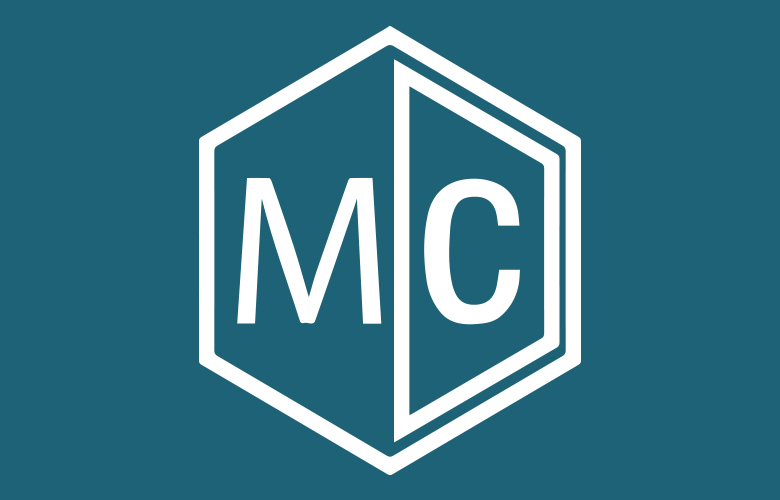 MedCAD clinical engineers are highly skilled in customized design with surgeon input, making complex cases a collaborative design effort. Input (i.e. any information to help define medical device customization) is a significant part of any case. Online meetings are a quick and easy way to speak with the representative or surgeon and provide input while viewing the digital patient anatomy on a screen. Our patient-specific workflow is used to provide customer-specific service for standard and complex cases alike. Start a Service Request to begin a case. For more videos, visit our YouTube Channel.